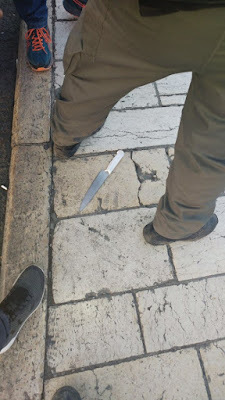 There has been yet another Arab-on-Israeli stabbing attack at Damascus Gate on the periphery of Jerusalem's Old City. 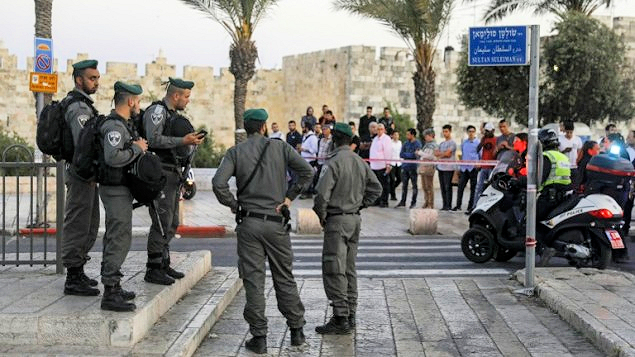 The attacker, yet again, is a teen-age Palestinian Arab girl with a knife. The outcome, as we have seen so many times, is that security personnel did what security personnel do and opened fire under attack. This time, the assailant is dead. According to police, the girl approached a group of officers who were standing guard at the gate. 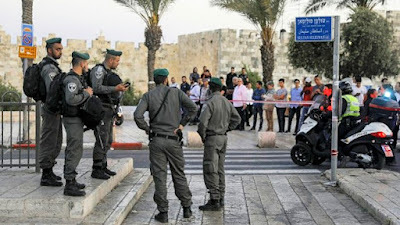 “The terrorist arrived from Sultan Suleiman Street toward the steps of the Damascus Gate. She approached a police and border guard force stationed in the area. She took out a knife and while screaming ‘Allahu Akhbar’ tried to attack them,” the spokesperson said. “The force responded with determination and professionalism, and neutralized her,” the spokesperson added. "Though Israeli forces often claimed that Palestinians were allegedly attempting to carry out stabbing attacks when they were shot and killed, Palestinians and rights groups have disputed Israel's version of events in a number of cases." What Ma'an fails, as always, to do is observe how many Arab-on-Israeli terror attacks are done by children, and how many of the children are girls. Also: how a society produces weaponized and apathetic children driven by a hatred so all-encompassing that it conquers their own will to live. UPDATE May 9, 2017: The thwarted girl with the knife wanted to kill and to be killed. What she posted to her Facebook page is depicted here and here. Meanwhile in the darker parts of the Israel-hating media, there are proliferating reports that she didn't really have a knife, and that she was actually executed by Israeli forces "in cold blood" and for no reason. The more they deny the reality of weaponized children, the less the chance that something can be done to stop it.